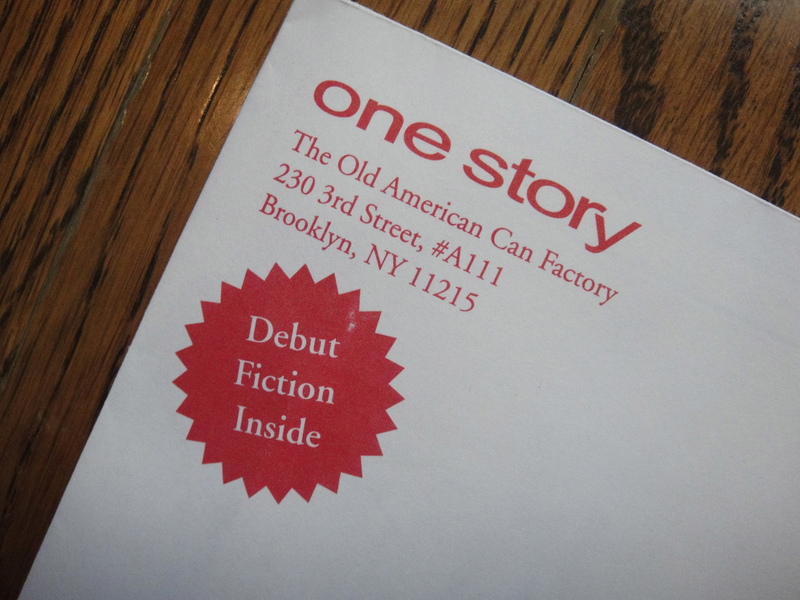 A one-year subscription to Quick Fiction is $13.50. #1: What’s in it for me? #3: What’s in a cover? A one-year subscription to Conjunctions is $18.00. I’ve subscribed to One Story since 2004. Plus, I try to subscribe to 3-4 other literary journals. And I mix it up from year to year. If we don’t subscribe to the journals where we want to see our writing, who will? For lunch today or tomorrow, make a pb&j and spend your $ on a subscription to the journal of your choice. Last spring I was trying to find a way to thank readers who took the time to add to the conversation here. One Story, I thought. For one year, I would send the reader who posted the most comments for the month a one-year subscription to One Story, my favorite journal. In addition to thanking readers, I would also be supporting literary journals. Well that year is almost up. 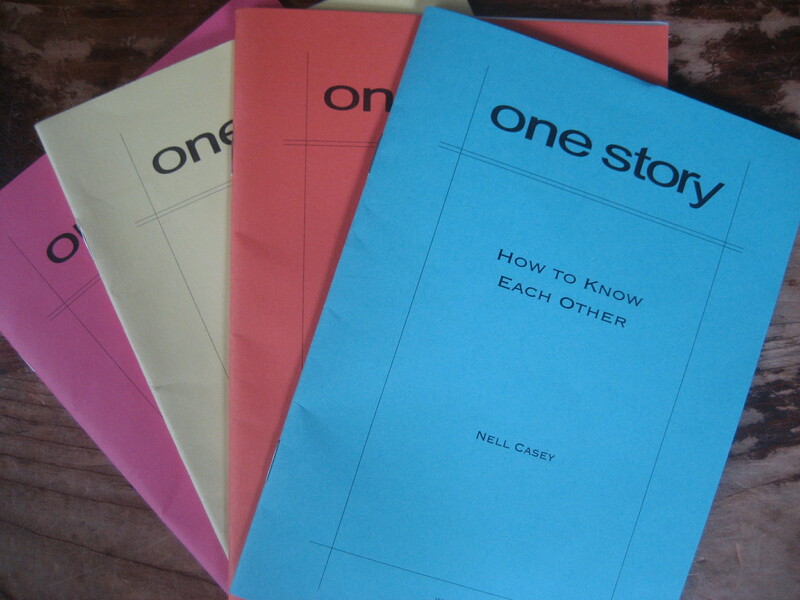 This is the last month I will be giving away a subscription to One Story. You can start with the list of Favorite Posts on the sidebar. You can use the “search” box to find posts on writers or books you’re interested in. You can click on each of the Categories in the long, long list that decorates the sidebar. You can start at the beginning of the blog–September 4, 2008–and comment in chronological order on each post! And, again and always, thanks for adding to the conversation. Hey, do you remember in elementary school when there would be paper drives? You’d go around to your neighbors’ houses, maybe with your little brother’s red wagon, to collect all the newspapers they had. –I didn’t like that book. –Wonder if I can find a red wagon. –Anybody out there agree with me that she’s wrong about that? You can use only your first name. You can make up a name. You can use all your names, like me. You can think of it as a place to practice your tweets! I also remember that the class that had the most papers won a prize. Was it an ice cream party? Maybe we should have a prize. Or more than one prize. Or a prize on the first of each month. For the most comments for the month. And commenting on older posts will count too. Cool. And the prize…. 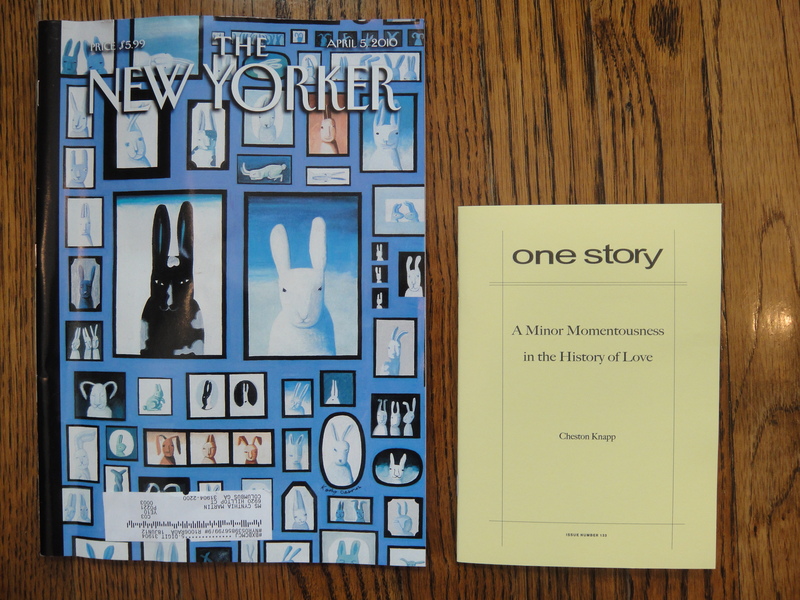 How about a subscription to my favorite literary journal—One Story. We’ll be supporting literary journals. Win, win, win. So thanks for stopping in and let’s start clearing out our brains and collecting those comments. Well, you can only read one book at a time, right? Maybe not. There’s the book I’m reading. That for me is the one I take to bed at night. The one I read after dinner. It’s the book I want to read just because I do–for fun. Right now that book is Tim Winton‘s Dirt Music. Then there’s the book I’m reading for my writing. At the moment this is Leslie Bennetts’ The Feminine Mistake–a must-read for every woman (more coming on this one). I take this with me when I’m off to a solo lunch or to a waiting situation–doctors, children, airplanes. I’ll read some in this one after dinner before I allow myself the book I’m reading. Several years ago, when I spent more time in my car and before the advent of One Story, I would choose a book that I wanted to read, but that wasn’t high on my list, and I might just leave it in my car. It was my car book. It was the one I would read while waiting. If it stayed in my car too long before I finished it so that it bothered me that I was still reading it, then I might elevate it to the book I was reading–so I could speed things up a bit. If my math is right, and so often it is not, I could be reading 5 books at a time, plus a One Story story. Let me know how you read. My favorite journal is One Story. That’s what it is. One story. At a time. Brilliant. Every three weeks, one story arrives in my mailbox. I always keep a story in my purse. Or my pocket. I’m never without something to read. One Story is the brainchild of Hannah Tiniti and Maribeth Batcha. The first story was published April 1, 2002. I just received Story #109. They publish each author only one time. They also post an interview with each author on their website.